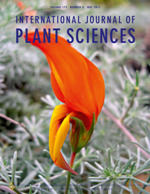 Emphasizing dynamic rather than purely descriptive work, the International Journal of Plant Sciences presents important research from laboratories around the world—research that seeks the answers to interesting questions in all areas of the plant sciences. Topics covered include plant-microbe interactions, development, structure and systematics, molecular biology, genetics and evolution, ecology, paleobotany, and physiology and ecophysiology. Founded in 1875 by John M. Coulter, IJPS has since become one of the major outlets for botanical research.